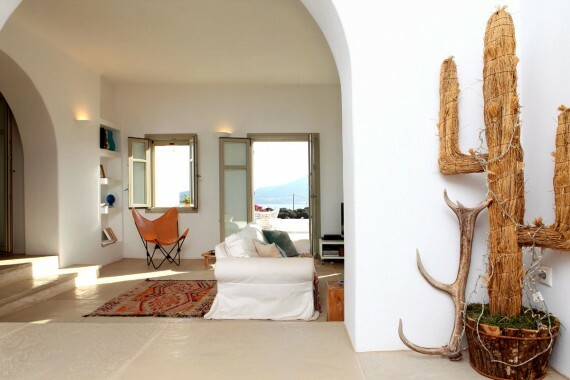 This coastal house built in 2009, is apart of Hipaway Villas, a collection of villas located in Greece. 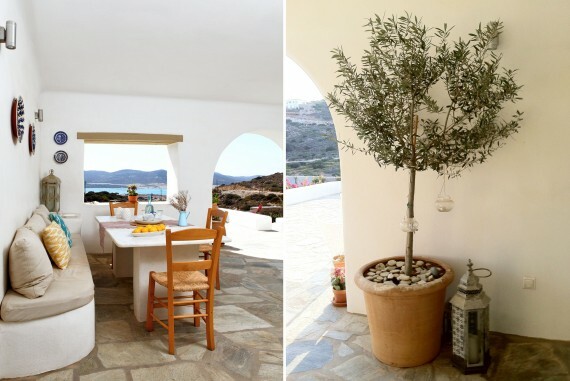 Located on the island of Antiparos and seven and a half miles from Antiparos village, this coastal house boasts sea and landscape views, and a guest house that sleeps up to six people. 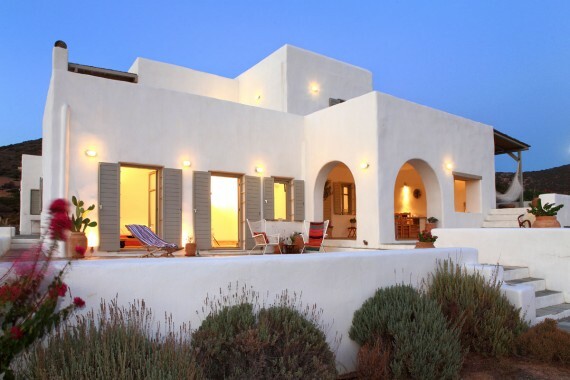 The outside of this fantastic getaway is white with gray shutters. The arches are absolutely gorgeous, creating an indoor/outdoor experience. On the side of the house, the pergola covered patio has striking accents. The front of the house has multiple places to sit and take in the views. The indoor/outdoor dining area has stone flooring, a white table, wooden chairs, and built in seating. The built in seating has beige cushions with fabulously colored details. 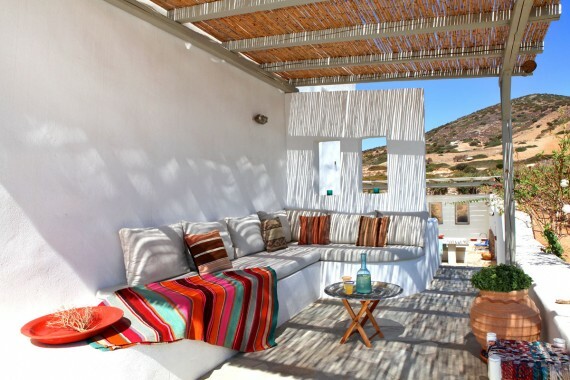 The views provided in this area are perfect for breakfast and morning coffee. The indoor dining area is warmed by the wooden table and matching benches. The brightly colored accents continue in this space, and they look lovely against the neutral backdrop. Two sleek and slender lights hang from the ceiling, lighting the dining table. The kitchen is soothing and modern in this coastal house. The modern cabinetry is given a peaceful touch with its calming gray color. The large island in the center provides a huge amount of workspace, and it is also where the stove is located. The translucent windows are a different and interesting approach to kitchen design, and we really like it. 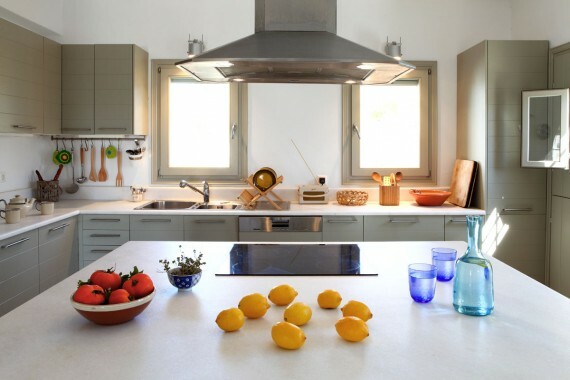 Generally, kitchen windows are used to open and brighten the space, but here, the windows are used to close and dim. This adds a significant amount of comfort and privacy, in this otherwise, very open home. The bedrooms and bathrooms in this gorgeous coastal house are simply relaxing. 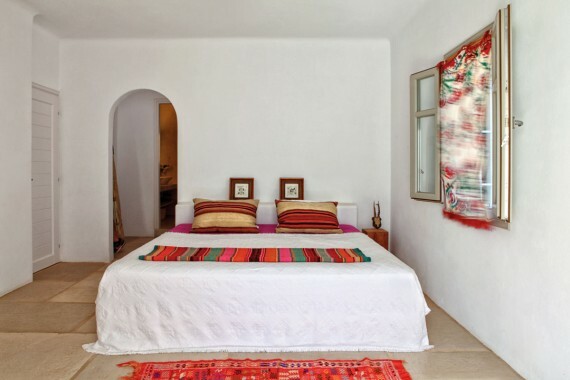 Stone floors and white walls fill the bedrooms, keeping the spaces open and cool. 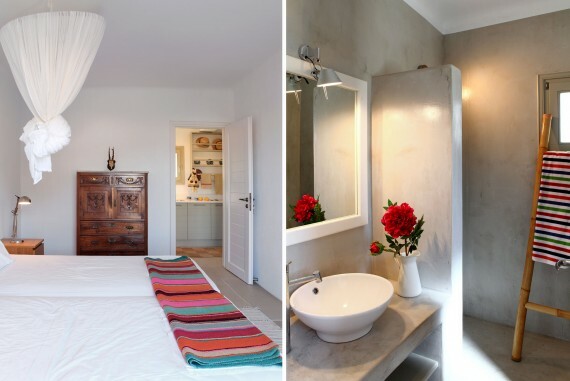 The bathroom is stunning with its concrete walls and countertops, and attractive fixtures. A splendid and charming getaway.